The SPEAR System utilizes the speed and reliability of the startle-flinch mechanism to convert the sudden attack into a tactical counter. It is a bridge between the reactive brain and the cognitive brain. This improves reaction time during a confrontation. 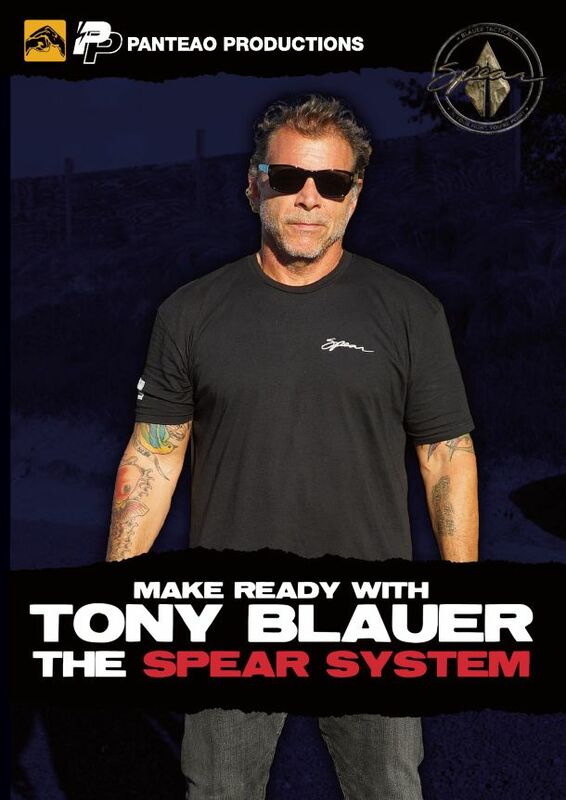 Tony Blauer is the founder and CEO of BLAUER TACTICAL SYSTEMS and the creator of the SPEAR System. Tony has pioneered research and training methodologies that have influenced and inspired martial art & combative systems around the world. In this video you are introduced to the SPEAR System and why it is so important for your personal safety. Tony reviews science and theory, the SPEAR stance, SPEAR Flow, SPEAR sharpening and strengthening, the Finger Splayed Drill, Outside 90 Drill, and more. 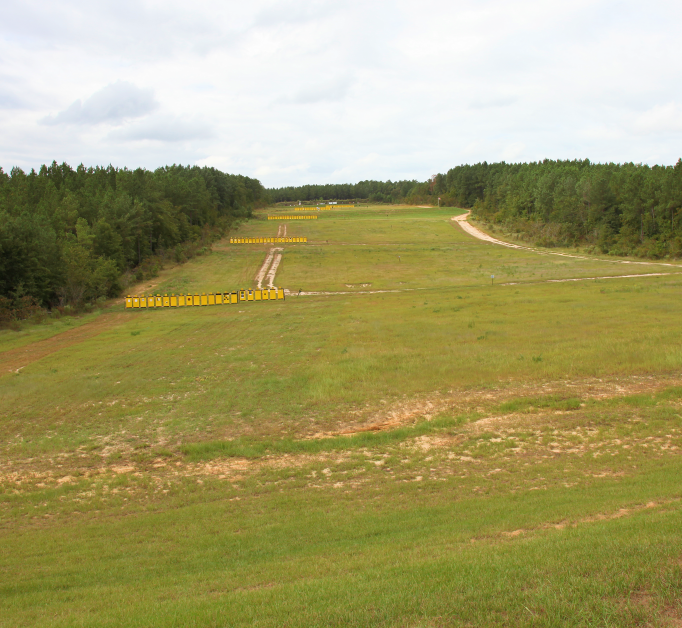 The SPEAR System applies to military, law enforcement, and civilians. One of my favorite, if not favorite training videos on this site. Tony Blauer is an empty hand genius and so is the SPEAR system. I have actually used this in real life before watching this video and before having knowledge of the SPEAR system. That should be a testament to how intuitive it is. It is a very effective and useful gap in everyones training that should be respected and learned. If you are a fan of the less is more school of combatives, you will love this. While the application of these techniques is simple and pretty intuitive, Blauer teaches you how to get out of your own way. Lots of real world wisdom in this production. This system merges well with other gross motor skill systems and complements them nicely. So, at first I did not like Tony or his Spear system. I thought it was another guy trying to get his idea out there. Then I listened to how he came up with it and the concepts he taught and I was impressed. I currently practice Brazilian Jiu-Jitsu and Muay Thai for self defense but I realize I will probably not use those in a real fight. I have practiced this and I feel that the spear system is more of “combat” techniques rather than a martial art. 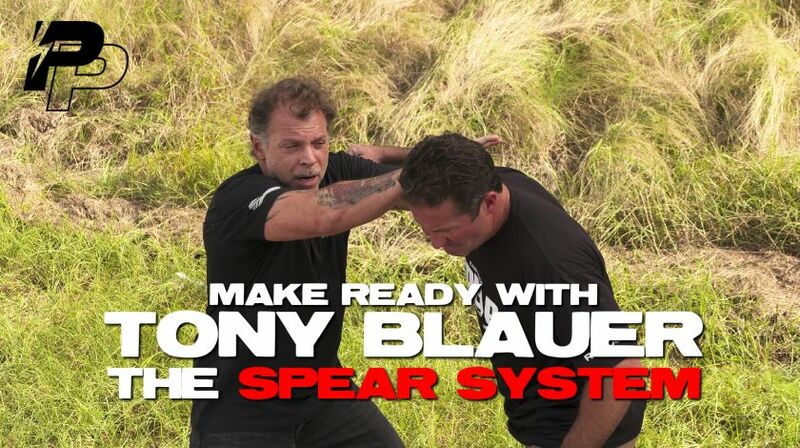 I highly recommend Tony’s dvd’s and spear system. 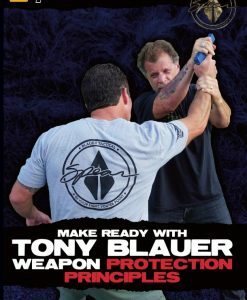 This video, make ready with Tony Blauer – The Spear System, is the first of two videos from Panteao that provides training in Tony Blauer’s unique hand-to hand combat system – The Spear System. I found this video to be really informative and I like how Tony demonstrates his techniques through scenario based training. 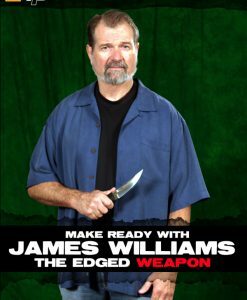 The follow-on video is also excellent since it expands on the techniques shown here and also goes into Weapon Takeaways. All-in-all another solid Panteao training video to add to my collection!